Q – Diane P of Hebron, Connecticut writes: We are planning a trip to Washington, DC with another family. All together there will be 4 adults and 6 children. We will be driving there, and are looking for the best ways to get around town to see as many sites as possible. We want to avoid sites with long lines. We need a plan to keep the kids (ages 4-10) interested but not exhausted. We also need suggestions on where to stay. A- Washington DC. is a really great choice for a family vacation because there is such a wealth of things to do and see, and most of the museums and venues are free of charge. Even when the town is crowded, there usually aren’t lines to enter the museums. As far as getting around, the Metro (subway) is easy, fun and safe to ride; parking along the mall or near places of interest is a nightmare. 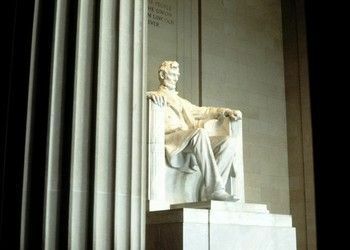 Please look at FTF for the following titles to access information on touring the Capital city.